Keeping important and expensive possessions safe is one of the most important human nature. Cars bikes, tractors and much other outdoor equipment are extremely expensive things we owe, so their safety becomes our priority. For their longevity and protecting them from theft, fire, extreme weather, rust, termites and many other things it is very important to keep them in safe houses. For the purpose, we build huge cement or wood garages which are less durable and more expensive. Sometimes we end up bearing huge storage cost to keep our products safe. But now with steel carports storage of your luxurious cars has become easy and affordable because in past two decades steel has come a long way as the most effective building material. Buying steel carports not only saves our money but it comes will multiple benefits. They are an investment that will repay you again and again. 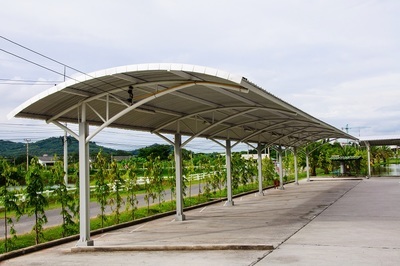 Here are some important benefits of steel carports. It keeps your possession safe in extreme weather – be it hot summer, cold winter or heavy rains and storms. In some areas, rodents like mice destroy the wires of our cars it saves them from rodents and termites. It can also provide a good place for children’s playhouse. Steel is affordable it doesn’t need treatment, painting and sealing. Steel roofs can last up to 50 years. Size: Majorly they come in three sizes, deluxe, motorcycle and RV. Deluxe carport: These are huge elephant size steel carports where you can easily store two big cars. You can get these with metal and electronic door which makes them even better. They have huge space and mobility and the come with a lot of long-term advantages. Motorcycle carport: These mediocre size carports are extremely space efficient that can be used for storing bikes or any other equipment that doesn’t need a lot of space. Your things are kept safe and sheltered under all circumstances in these garages. If you have less space than they are best suited. RV size carports: If you don’t want to leave your RV outside when you are travelling or during harsh seasons, then RV garages are meant for you as they will save extravagant fees for motor storage at storage facilities. They create an affordable and durable shelter to protect your vehicles under all circumstances. Here are some features you should consider before buying your steel carport. 1. Should be portable: buying a portable carport makes a lot of sense especially if it is temporary. These portable ones are very easy to move. 2. Should be durable: it must be durable and strong. You will choose a steel carport it is rust free and has longer durability than others. It can tolerate harsh winters, summers and rains easily. It doesn’t wrap, crack, buckle or rot easily. It is fire and termite resistant as well. 3. Should be versatile: it should be versatile, means that it can be used for multipurpose. It can be used to protect vehicles, hay, large types of equipment and much more. Should have good height and width and should be covered from all ends. 4.Should be easy to assemble: if it is easy to assemble then you save a lot on labor, time and effort. 5. Should be affordable: Most of the steel carport come within an affordable price. You can buy them in predetermined size or you can order a special kit as per your need from manufacturers. You should opt for steel carports because they are strong, sustainable, durable versatile material that gives you safety and security in affordable price.